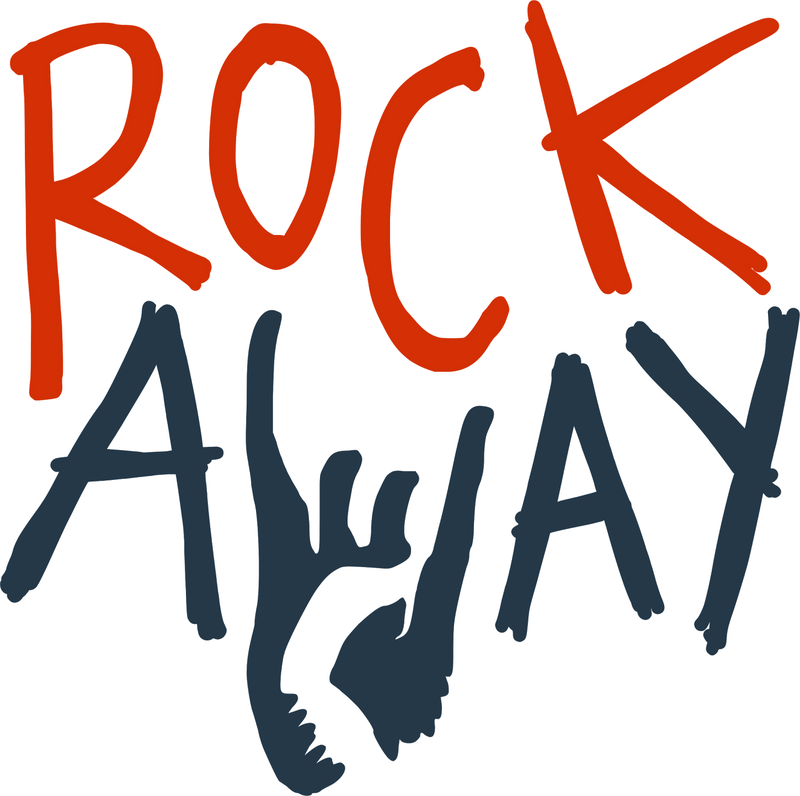 Rockaway Hosting allows you to host any domain registered with external companies by updating the nameservers for your domain to point to our servers. However, there are plenty of instances where you may want to transfer a domain registration to Rockaway Hosting and manage it here, either as an included domain with your signup or if you have additional domains and just want to consolidate your hosting and domain registrations in one place with us. Transferring domains can be a complicated process due to the many checks and balances in place to prevent domain hijacking, however, we're here to help and this guide will walk you through the steps required to transfer a domain to Rockaway Hosting. Note: Domain Transfers can take up to 7 days to complete so you should always begin this process well in advance of your domain expiring to prevent complications. Expired domain names can not be transferred to another registrar. By default domain registrations have a transfer lock in place that will need to be disabled. If your domain is less than 60 days old you will not be able to disable the transfer lock and will need to wait to transfer your domain out. Make sure your domain is unlocked in order for the transfer to proceed. Domain privacy (also known as WHOIS Protection or ID Protect) prevents the domain contact information from being public. This prevents our registrar from sending the necessary approval emails to the domain owner to approve the transfer. Please temporarily disable domain privacy to ensure you get the appropriate confirmation emails for the transfer. During the domain transfer ordering process at Rockaway Hosting, you'll have the option of adding ID Protect to the domain again. In order to get the verification emails necessary to approve the transfer please verify with your domain registrar that your contact information (specifically the admin email contact) is correct. Also known as an authorization code, the EPP code is a secret password that is used as part of the ordering process to verify you own the domain. 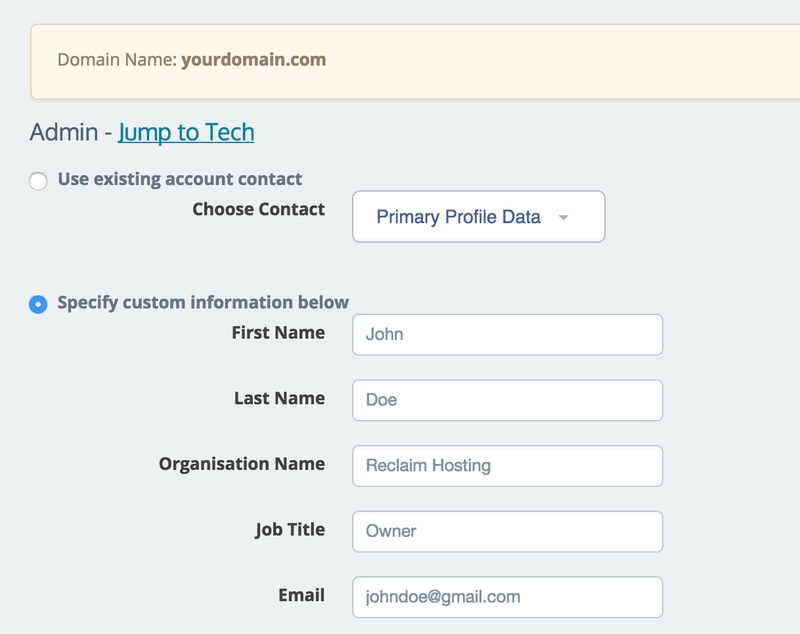 You'll need the EPP code in order to place a domain transfer order with Reclaim Hosting. If your EPP code changes you can always contact support@reclaimhosting.com and we can update an existing transfer order. Either as part of a new hosting plan or as a standalone domain transfer order you'll request a domain transfer be initiated through our order form. The EPP code is added there during the order process and you'll get a confirmation email that the order is complete and the transfer has been initiated. A new step in an already complicated process for transferring domains, both the old registrant email contact and new registrant email contact will receive emails with a link to verify the change. If the old registrant email is the same as the new, 2 emails will be received and action needs to be taken on both. Once both registrant emails have confirmed the change, the transfer authorization process is initiated. When an order is placed the Admin contact on a domain is sent a transfer authorization email. This email includes a link that will need to be clicked to approve the transfer. If you do not receive an authorization email within minutes of ordering a transfer, please ensure your domain contact information is not private and is up-to-date. If you have questions reach out to us and we can check the status of the transfer and resend authorizations. Once the domain transfer is authorized the order is sent to the existing registrar for final approval. Within 7 days the registrar will release the domain to Reclaim Hosting assuming there are no pending formalities. Some registrars such as Godaddy, Bluehost, and WordPress.com offer the option to "accept" the transfer early which can make the process go faster. Look for a confirmation email from them which may include steps on how to accept a transfer early. When the domain transfer completes you will receive a confirmation email from Reclaim Hosting notifying you that the transfer was successful. If this is your first domain with Reclaim Hosting you will need to then verify your email address with our registrar. Additional registrations or transfers are not required to go through the same contact verification process. As you can see the process of transferring a domain can indeed be a complicated one. To ease this process Reclaim Hosting provides free migration services for new customers and we're happy to assist with domain transfers. At any point in the process feel free to also reach out to us via our support channels and we can help make sure the transfer is completed successfully. Transferring a domain you already own is not too much different from registering a new domain, except the transfer process requires an EPP code or an agreement code obtained from your registrar that allows the registrar to release your domain. Head to your Client Area and click domains > transfer domains to us. You will be prompted to enter your EPP code on the same screen where we ask if you'd like to buy the identity protection. You must click the confirmation link in the email we send, or you will have to start the process over! The domain must be older than 60 days. The domain must have no other transfers in the last 60 days. The domain transfer process can take up to 5 days. If your domain registrar doesn't appear here, you can do a Google search for "EPP code" and then the name of your registrar. If you're still having troubles finding your EPP code, send a support ticket our way. Once we confirm that your domain has successfully been transferred, you can head back up to the setting up your new domain section of this tutorial to set it up as an addon domain.